Tucked in a rather quiet lane lined with fancy boutiques and eateries in Anna Nagar, Varishtaa is a total delight. With elegant decor and beautiful ensembles adorning every rack of this boutique, ladies, you’re sure to fall in love with ethnic dressing. While sarees and salwar materials occupy the left side of the store, anarkalis and gowns occupy the right side. 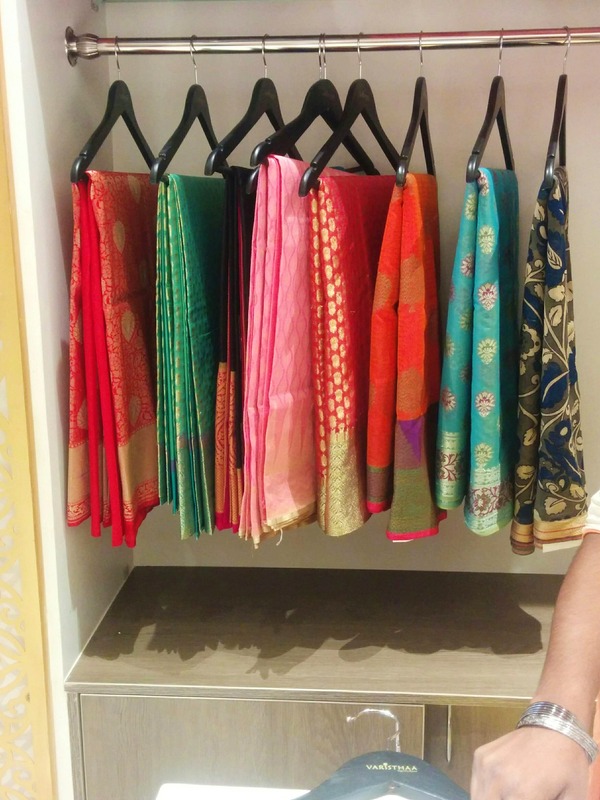 We totally loved the sarees at Varishtaa that are available in silk, georgette, and cotton. Starting from about INR 2000, the cotton sarees, in particular, are something to look out for because of the richness of the fabric and the simplicity of the patterns. We also liked the salwar materials here that come with embroidered yokes, lacework in fabrics like cotton, muslin, chanderi and more in all kinds of shades. The patiala sets as well as sharara sets especially are perfect for summer festivities and start from about INR 2000. However, it's gowns and anarkalis at Varishtaa that won our heart. With fabrics like raw silk, dupion, satin, chanderi and georgette with light work, these exude elegance and glamour, both at the same time. With gotta work, aari, patchwork and embroidery these are perfect for weddings as well as smaller functions. Starting from about INR 6000, these mostly come in hues of ivory, mint green, salmon pink, beige and more. Varishtaa also has an entire shelf dedicated to some beautiful imitation jewellery - studs, chaandbalis, duster earrings, statement matte finish earrings, kundan and stone sets, bracelets, danglers and tear drops to name a few. The meenakari jhumkis were our personal favourite and come in a variety of pastel and bright colours. Starting from about INR 250, you can totally find a pair that goes perfectly with your outfit here. Psst, they are currently having a sale on their entire collection, so head there as soon as you can.